U.S. Health and Human Services Secretary Tom Price resigned on Friday (September 29) after it was revealed he had spent hundreds of thousands of tax payers’ dollars on private flights. “Secretary of Health and Human Services Thomas Price offered his resignation earlier today and the president accepted,” the White House said in a statement. The abrupt departure was announced shortly after President Donald Trump told reporters he was disappointed in Price’s use of expensive plane travel and did not like the optics of it. 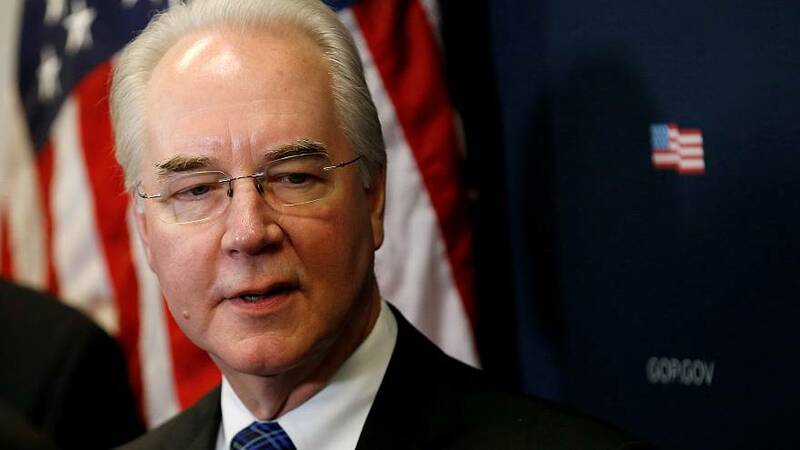 Washington news media outlet Politico has reported that Price had taken at least two dozen private charter flights since May at a cost to U.S. taxpayers of more than $400,000. Senior U.S. government officials travel frequently, but are generally expected to keep costs down by taking commercial flights or the train when possible. “I’m not happy. OK? I’m not happy,” Trump told reporters on the White House South Lawn. Trump named Don Wright to serve as acting secretary. Wright is currently the deputy assistant secretary for health and director of the office of disease prevention and health promotion.